There’s an enemy out there, lurking in the dark. It’s the enemy of every human being and — The Observer has become convinced over the years — the root of all evil, no matter what you’ve heard about the Greenback Dollar. Money, it turns out, is only a servant of the real problem. The real enemy is conformity. 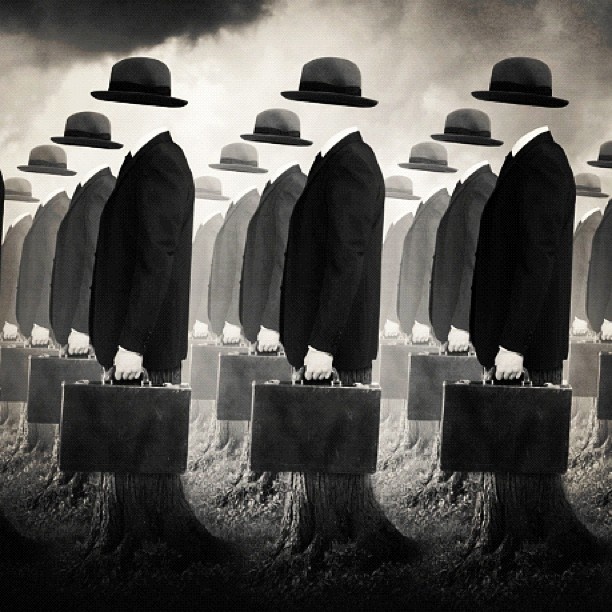 The desire for conformity. The desire to force others to conform, even in matters that don’t, as Thomas Jefferson said, pick your pocket or eat your grass. We’ve seen quite a bit of that thinking in Arkansas of late: the wish to validate and confirm the rightness of your own choices by trying to force others, sometimes at the point of a gun or the end of a lash, to make those same choices; the need to make everybody else think like me and dress like me, to eat the same foods and read the same books as me, to pray to the same God as me, to desire the same things and the same people as me, to do the same things when the lights are off and you and the person you have chosen to spend your life or night with are in that most private of spaces, the secret bower of smiling whispers. Not all of them work for the same purpose, of course, but they all work for the same goal: a future where everybody looks alike and thinks alike and dreams alike, where the most boring songs are sung, and the most boring books are written. They are all working to make you like them, so they don’t have to think about whether their own religion, style, sexual proclivity, gender, belief or fear is right or wrong, all desiring to nudge you into the cozy ideological rabbit hutch they have built for themselves. In the process, for those who don’t fit, all that pushing and pulling can feel like being torn apart. And from that feeling of being torn apart springs almost all the things — short of toothaches, flat tires and herpes — that make human life harder: shame, fear, violence, war, doubt. Conformity, it turns out, is the worst kind of pyramid scheme. Only those at the top of the pyramid — the ones setting the “toos” — ever win. Everybody else loses something. Here is the truth, though: Nothing beautiful or noble ever came from blind conformity. True beauty, true nobility, when it happens, is always a small rebellion against the beige, the bland and the unobtrusive. It is always a stand against the shushing finger, the shouted command, the heavy black bar of censorship. We are all guilty of being behind that shushing finger. Even The Observer is not immune. The key, though, is to know it is in you, and to teach yourself to see it in others. If you can do that, you can beat it. Do that, friend, and you can set your own toos.